Now, this was a post I didn’t think I would ever write on here, actually. But, the more I thought about why I didn’t want to, the less and less justification I had to not. I know these days, a lot of people choose to write bucket lists – illness or no illness – and to those people I say GOOD ON YOU! Why not have aspirations? Why not have crazy dreams – even unrealistic ones? If you are striving to achieve that dream – surely that is what living your dream is all about? Life really is too short – LIVE IT! Personally, I have always had ideas in my head of things I would like to do and achieve in my life – however, I did set my sights on my life, and time span to be able to do such things, being a hell of a lot longer than what is currently envisaged. I thought I would share at least a few of the things I would like to do before Trev ruins everything. These are not in any particular order of importance, some are a bit ridiculous, and I have left the more personal, emotional dreams and goals out for now. I hope to also add to this post as more things spring to mind! Go on the Lions Rugby Tour of New Zealand in 2017 – As many of you will know from reading my blog, or following my page on Facebook, I am a huge rugby fan. 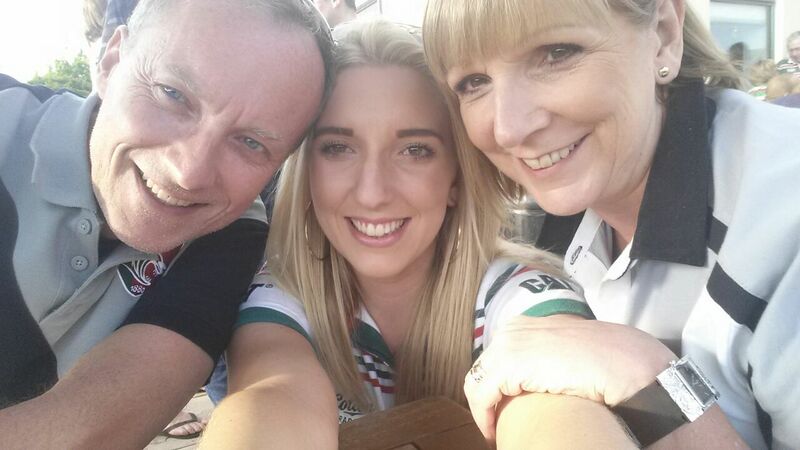 My team Leicester Tigers have been part of my life since I was 8 years old, and I have had some amazing experiences with my family as a result of following our team. The Rugby World Cup being over here this year is amazing! I am thoroughly enjoying watching all the games on television and even more so, RIDICULOUSLY excited to be going to 2 of the matches as well! As far as international rugby is concerned, my allegiance is slightly blurred. I always support the Tigers players who are called up to international duty, for no matter what team. I support England, but my main team, due to my Dad’s upbringing, is Wales. I have been fortunate to watch live international rugby, many times; but my dream? My dream is to watch the British and Irish Lions, I wouldn’t have to worry about my split allegiance then. In 2017, they will be touring New Zealand – WOW! I am just hoping that before 2017 I will be well enough to work again so I can save enough money to go – Keep your fingers and toes crossed for me please?! Have a taste of my dream job as Rugby Pitch side Reporter/Sports Presenter – Linked in with my love of rugby and sport in general, I have always said I want “to be the next Gabby Logan” or the like. I think being able to combine a true passion in your line of work, must be a real joy. See Britney Spears perform in her Las Vegas residency – I am and always will be a huge Britney fan. I saw her back in 2000 I think it was on her “Oops I did it again” tour…back in the day where I had to be accompanied by an adult – my Dad was the one that had to drag himself to see Britney in that red leather cat suit (the things you do for your children ey Dad?! 😛 ). Since my diagnosis I have had to do a lot of travelling up and down the country – many of which I have been chauffeured by my boyfriend Andy. To make these journeys a bit more entertaining we have downloaded a lot of new music – well, and Britney Spears greatest hits. Andy has endured many hours of Britney karaoke and I have loved every second (unsure about Andy’s feelings!) – her songs and singing along to them takes me back to those days growing up without a care in the world, singing in front of my mirror, and doing all the dance routines thinking I was her! In this hour or so of Britney karaoke, I am happy and care free. Imagine being able to have that feeling but in VEGAS!!!!!!! My main concern to be able to tick this off my bucket list is the cost – the flights etc. in themselves would be expensive, but then I would seriously have to consider travel insurance for the USA. See my best friends get married – Now I didn’t want to make this bucket list too emotional and deep. However, the one thing that had to be included is the happiness of my best friends. I hope I can live long enough to see my closest friends get married – to people I have obviously approved of first :P, they will certainly not be exempt of the best friend testing! Coachella Festival – So this bucket list isn’t really doing things on a small scale. If I could get to Coachella, I don’t think I would even care about the line up!!! Appear on Innuendo Bingo on BBC Radio 1 Scott Mills show with Chris Stark – Scott Mills and Chris Stark have me in stitches of laughter every time I listen to their show (which I have done for many years!). My favourite part of their show has to be Innuendo Bingo. Maybe this is due to my ridiculous immaturity and, let’s be honest, love of Chris Stark. Complete a marathon – Well I cannot believe I am saying this, but this is already set to become a reality! I just have the teeny weeny incy wincy matter of doing all the training and running it!!! 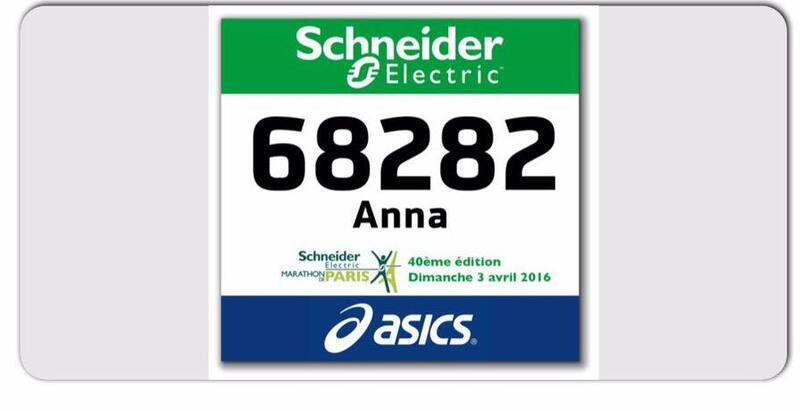 I have signed up to run the Paris Marathon in 2016 – I will still be on my 12 month cycle of chemotherapy, and I have never run before in my life! I know it will be a challenge and a half, but I cannot wait to feel that sense of achievement. Raise at least £100,000 for Brain Tumour Research Campaign – As you all know, I made it my mission to turn this awful diagnosis for me, into something positive for my diagnosis, for others suffering, and for those who may be affected in the future. I was, I am and I always will be determined to channel this negativity into a positive outcome. I chose to fundraise for BTRC and I know, first hand, how vital their research is. With the help of you incredible supporters who have chosen so selflessly to join this campaign, I have to date raised over £30, 000 – and I will not stop until my last breath to keep this amount ticking over! That’s a bucket list anyone would like to have. I hope you manage to fullfil them all, and if you do I for one will be jealous. Luv Michael Dalton X.